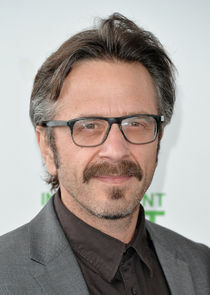 Marc Maron has been a comedian for 25 years. He's had his problems. He was an angry, drunk, self involved, twice divorced compulsive mess for most of his adult life, but with the popularity of a podcast he does in his garage and a life of sobriety, his life and career are turning around. "MARON" explores a fictionalized version of Marc's life, his relationships, and his career, including his incredibly popular WTF podcast, which features conversations Marc conducts with celebrities and fellow comedians. Neurosis intact, Maron is uniquely fascinating, absolutely compelling and brutally funny.